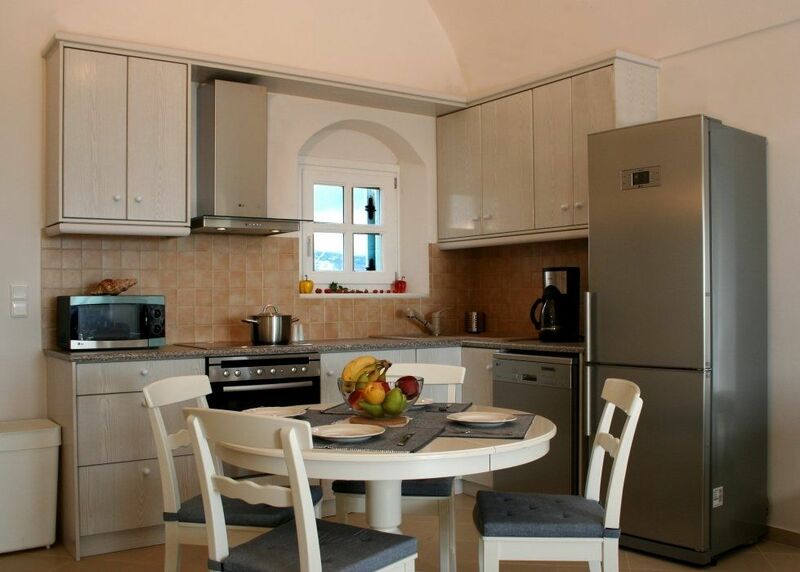 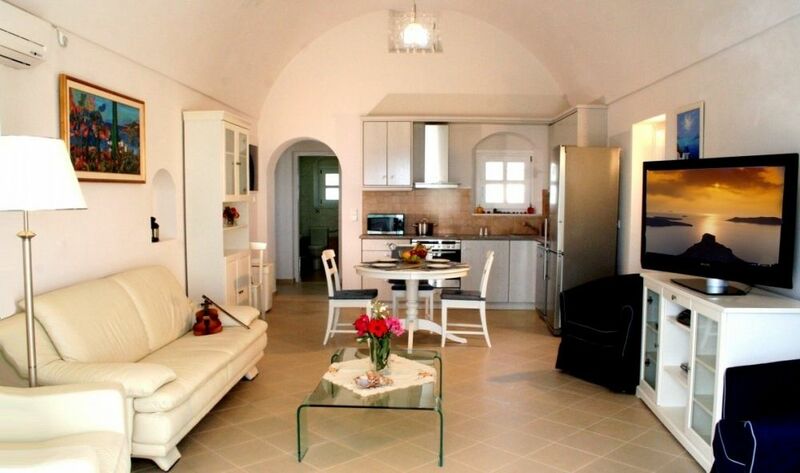 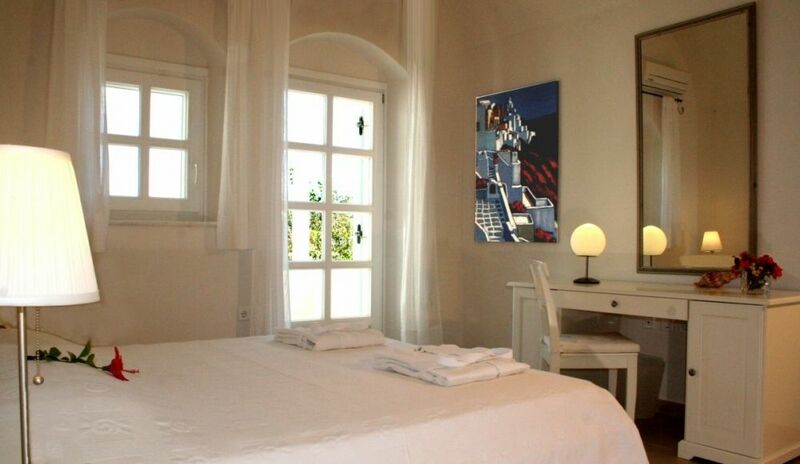 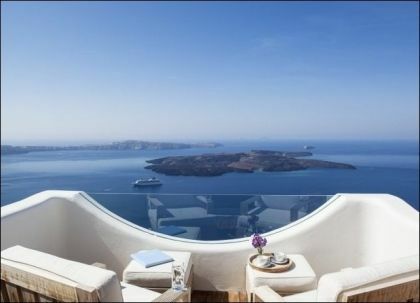 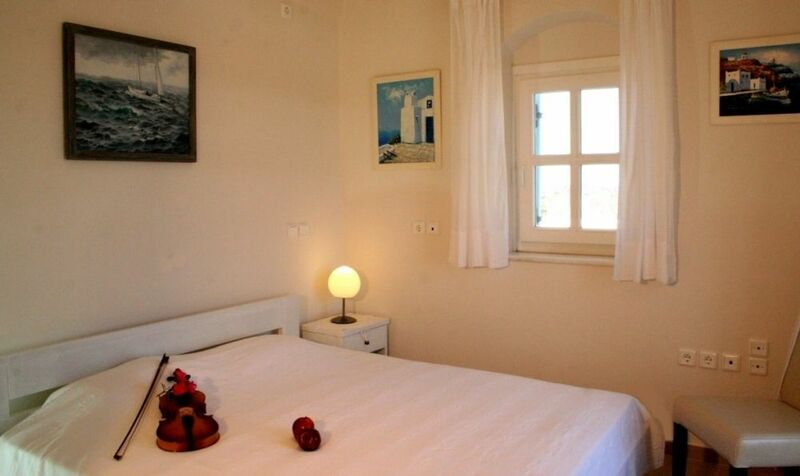 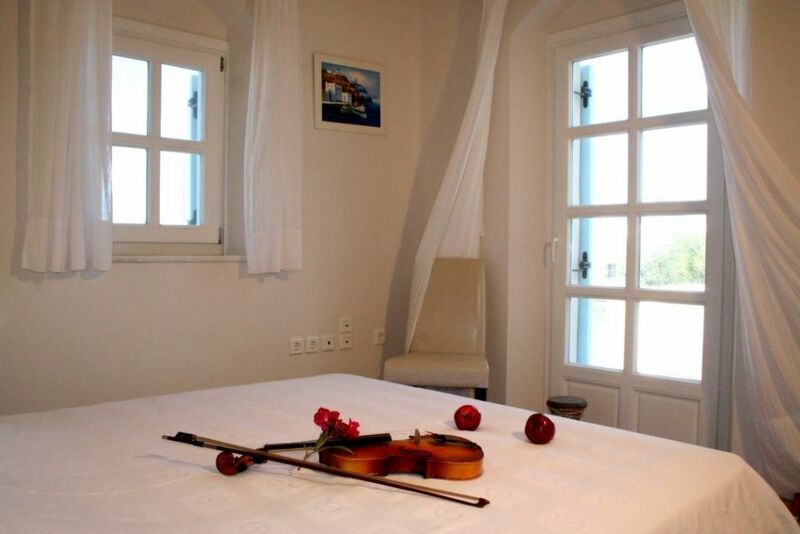 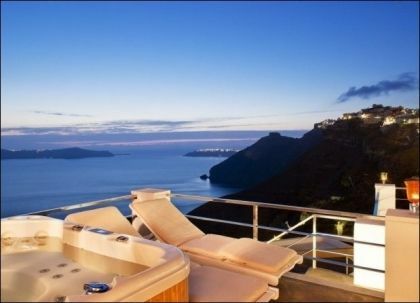 Villa is situated 2 km from the back side of Fira, near Exo Gialos beach overlooking the sunrise. 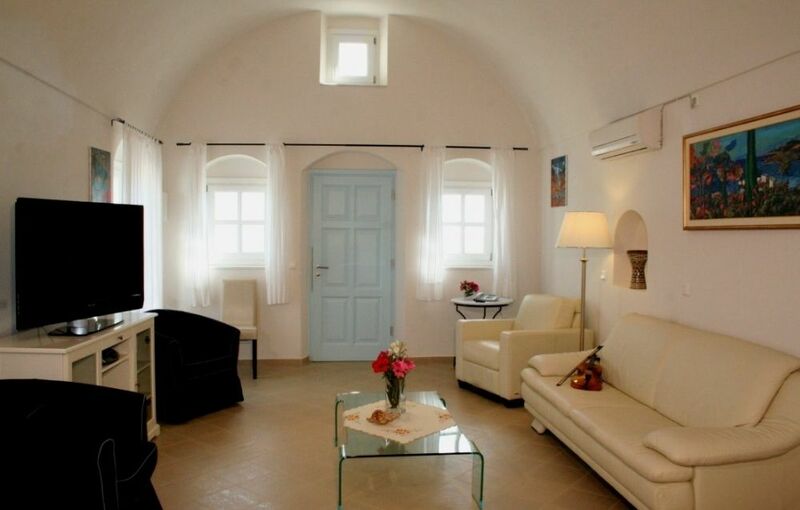 It is the perfect accommodations for a single family with children, or 2 couples looking for a little privacy outside the hustle and bustle of the t center. 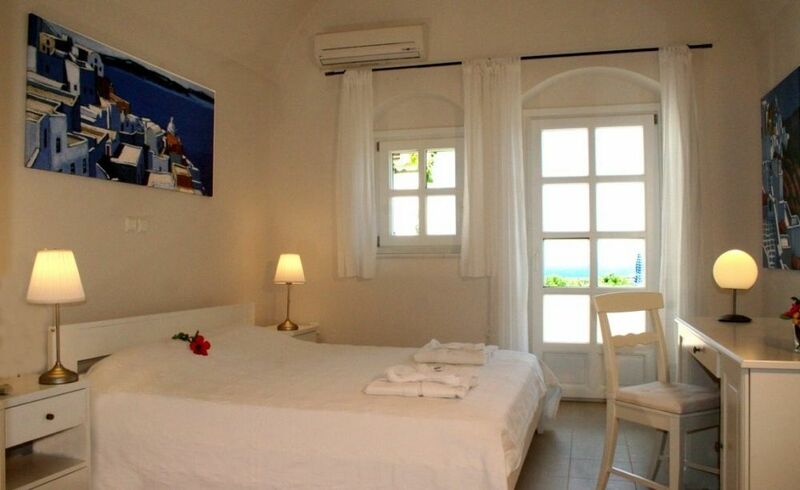 It is also ideal for Honeymooners searching to create that special retreat that only seclusion can offer. 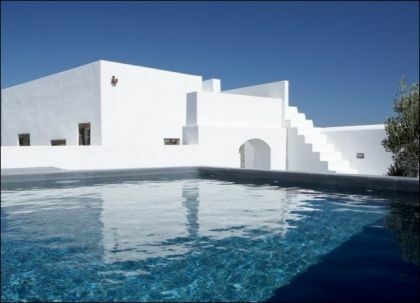 Enjoy the luxury of your own private swimming pool and the serenity of the unique location. 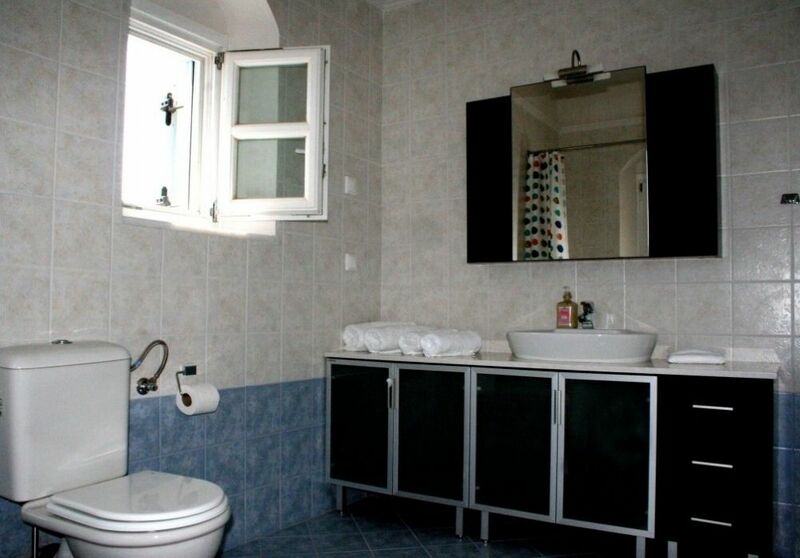 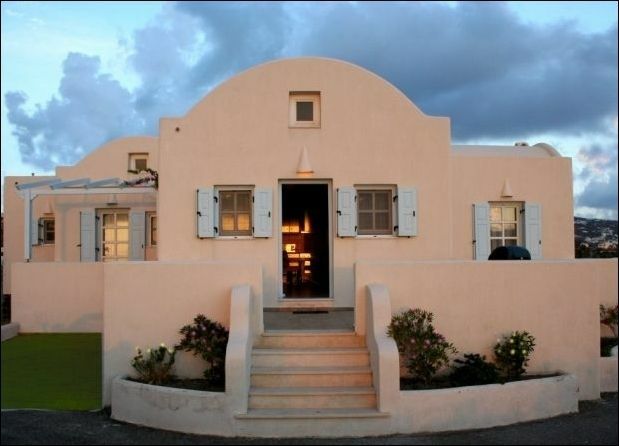 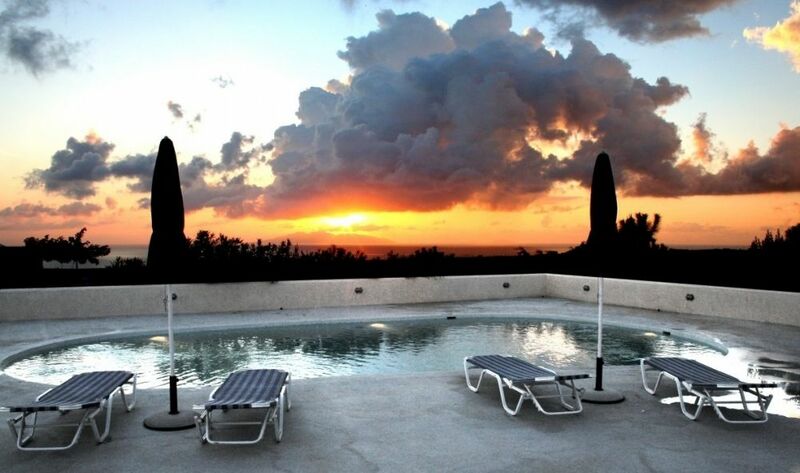 This house offers a large living area , a full equipped kitchen, 2 comfortable bedrooms with double beds, private terraces with sea views , 2 bathrooms , one with bathtub and one with shower, large verandas and patio with sea views and beautiful sunrise.